Thiksey Monastery is located 22km from Leh, along the Manali – Leh Highway and is one of the largest and most beautiful monasteries in Ladakh. 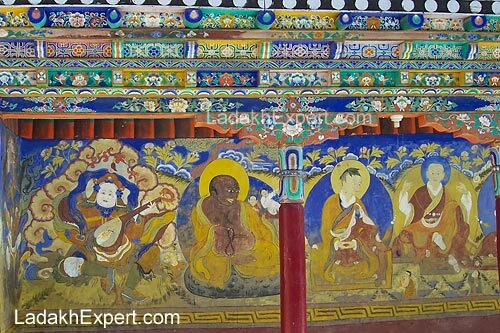 Thiksey Monastery was built in 1430AD by the nephew of Sherab Zangpo, Spon Paldan Sherab. 250 monks belonging to the Yellow Hat sect live at the 12 storey Thiksey Monastery, which also houses 10 temples. From a tourist perspective, Thiksey is not only easily accessible thanks to its proximity to Manali – Leh Highway; it can also be visited while going to or coming back from Pangong Tso or Tso Moriri. Add to that, Thiksey is not only beautiful to photograph, from both inside and outside. 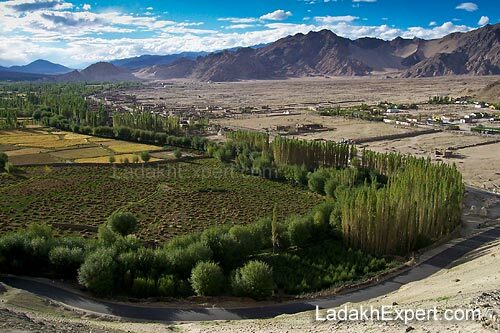 It also offers great views, especially during the season, when the farms are lush with produce, against the backdrop of the barren landscape of Ladakh. 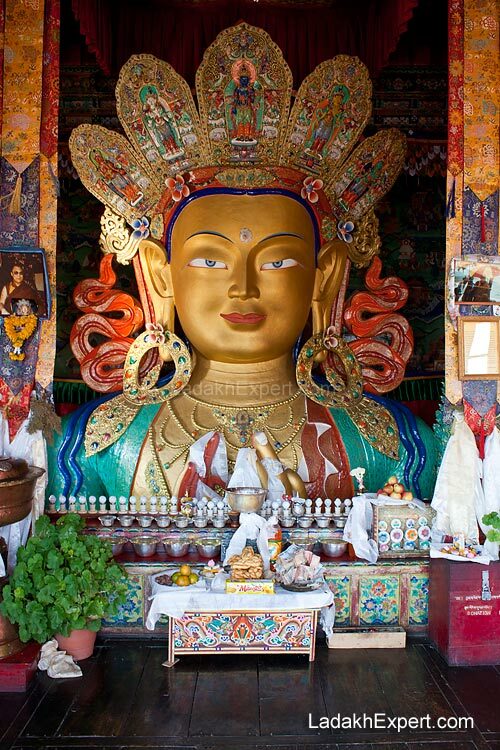 Thiksey Monastery is also home to two storey tall statue of Maitreya, the future Buddha, made of clay and gold paint and was constructed in 1980 to commemorate the visit of his Holiness, Dalai Lama. Thiksey Monastery also has a guest house for visitors, who are interested in learning about Buddhism and staying at this serene and beautiful Monastery. Additionally, each year sacred monastic dances are held in the monastery during the Gustor Festival, which is held on the 17th, 18th and 19th day of the 9th month of Tibetan Calendar. 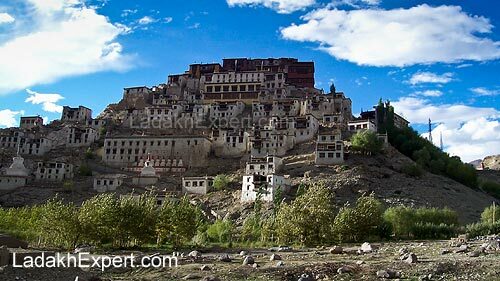 (see: Ladakh Monastery Festival Calendar 2013). Hello.. Can you please tell me if Me ( Planning to tavel to Thiksey Specifically for 8-10 Days with my brother) can stay at the thiksey guesthouse and if Any prior reservations are required for the same? I am slo very keen at the moment to learn and delve into the BUddhisms working and learnings and hence plan to study it there as well for these 8-10 days. Do write back.